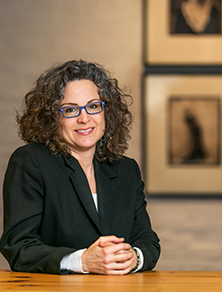 Angela Demma, AIA, specializing in design and historic preservation/renovation, serves as Centaur’s Lead Architect. Her roles include supervising architects, engineers and designers to ensure accuracy and provide technical and procedural solutions.Angela began her architectural training by documenting historic buildings, drafting and detailing. Upon graduating from the University of Illinois at Chicago with a Master of Architecture in 2002, she joined a firm full time where she rose from intern to associate to partner in quick succession. Prior to studying architecture, Angela obtained a Bachelor’s Degree in Art History at Northeastern Illinois University. During this time she interned with the Art Institute of Chicago in the Architecture Department and at the Frank Lloyd Wright Home and Studio. These experiences solidified her desire to pursue a career in architecture. Through experience, Angela has gained invaluable insight and knowledge of adaptive re-use along with a unique and tailored perspective on design and construction. Most recently a partner at Vinci | Hamp Architects, Inc., a highly regarded Chicago firm known for both preservation and design, she directed and managed projects of various types and scales. Among these include the restoration of the Grainger Ballroom at the Chicago Symphony Orchestra and management of a multi‐million‐dollar renovation and restoration at a 7,500 square foot historic residence. Angela has been able to succeed in the male-dominated field of architecture; proving that hard work, tenacity and dedication can conquer inherent biases in the profession. As an explorer of the world, Angela loves to travel internationally. The more exotic, the more interesting. She is a mother and a dancer, and her friends describe her as capable, adventurous, diligent and loyal. I know, impressive, right?